A new kitchen appliance aims to turn food waste into "black gold" with the touch of a button. 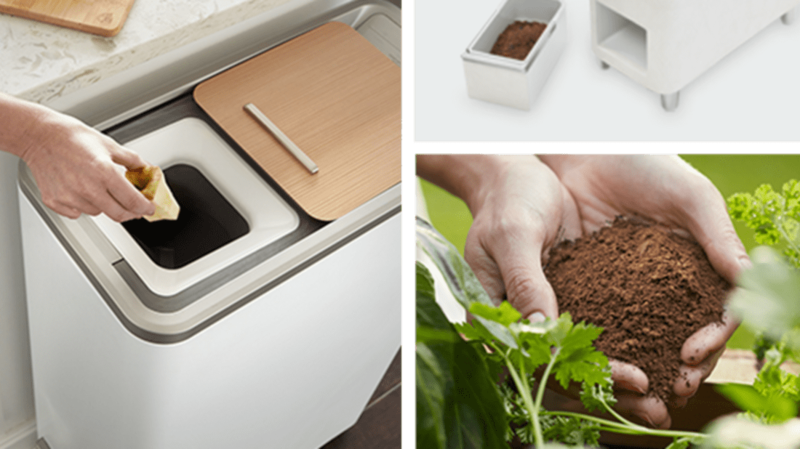 As Curbed reports, the Zera Food Recycler is an automated composter that, according to its designers, can turn food scraps into fresh fertilizer in just 24 hours. Traditionally, the composting process takes weeks—if not months—to complete as microorganisms turn organic material into rich fertilizer (what gardeners call "black gold"). It’s also a somewhat taxing activity because in order to provide oxygen to the microorganisms responsible for the decomposition, you have to mix the pile regularly. The appliance, invented at Whirlpool’s WLabs and launched at CES this year, can also take in food that traditional compost operations cannot. It will break down meat and dairy, unlike your average community garden compost pile. A prototype Zera was built in July, and production of the final design is set to begin in March. The $999 units (available for pre-order on Indiegogo) are due out in summer 2017.